KZ Tandingan had her first major solo concert at the Mall of Asia Arena last June 22, 2018. 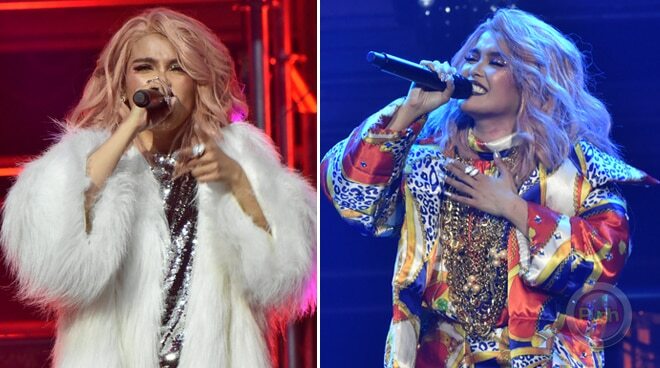 KZ Tandingan proved that she is indeed "Asia's Soul Supreme" in her first major solo concert called "SUPREME: KZ Tandinan at the MOA Arena" on Friday, January 22, 2018. The singer performed some of today's top hits, proving her versatility as a performer. Some of the hit songs KZ sang were "Labo," "Royals" (Lorde), "Confident" (Demi Lovato), and "Rolling in the Deep" (Adele). She also performed medley versions of Eraserheads' hit songs like "Alapaap," "Pare Ko," "Magasin," "Overdrive," and a whole lot more. Fresh from her stint in China's "Singer 2018," KZ performed a mandarin medley and her version of "Anak," much to the delight of the fans. The singer also offered a song and performed "Close To You" (The Carpenters) for her parents who were celebrating their wedding anniversary. She also sang "Best Part" (Daniel Caesar) with her boyfriend TJ Monterde. Various guests graced the concert like Moira dela Torre, Gloc 9, Shanti Dope, Inigo Pascual, Daryl Ong, Jason Dy and Kyla. In an interview with PUSH, KZ remarked that she is very grateful to have been given such a grand opportunity. "Sobrang happy ko, hindi ko ever akalain na magkakaroon ako ng ganitong opportunity. I am just really thankful that this is only the first among all the amazing things na ibibigay ng Panginoon," KZ said.